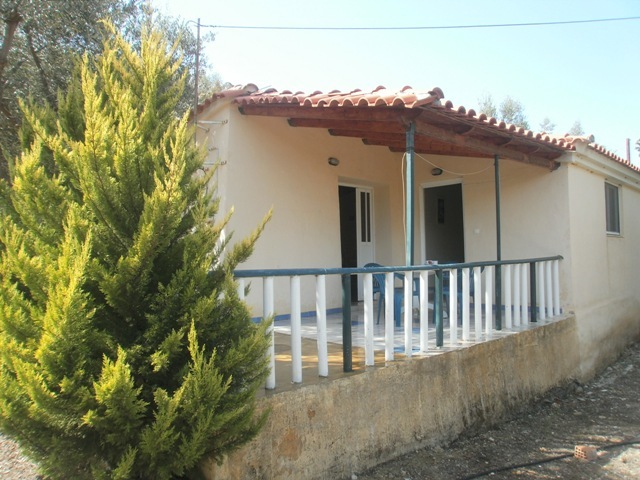 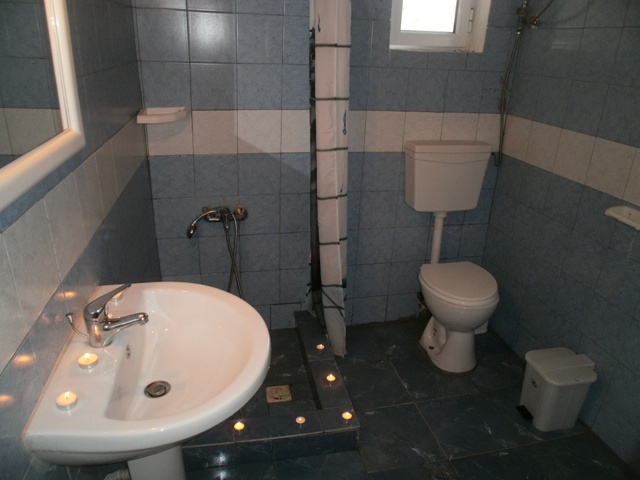 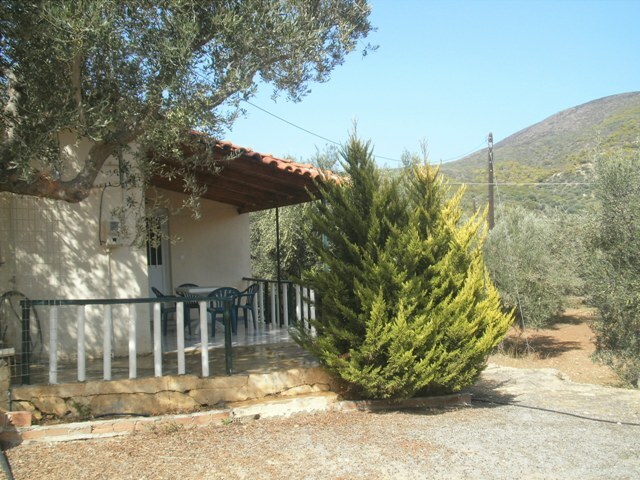 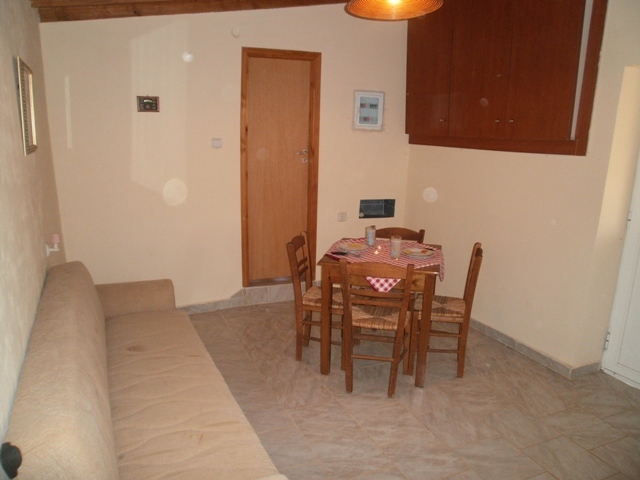 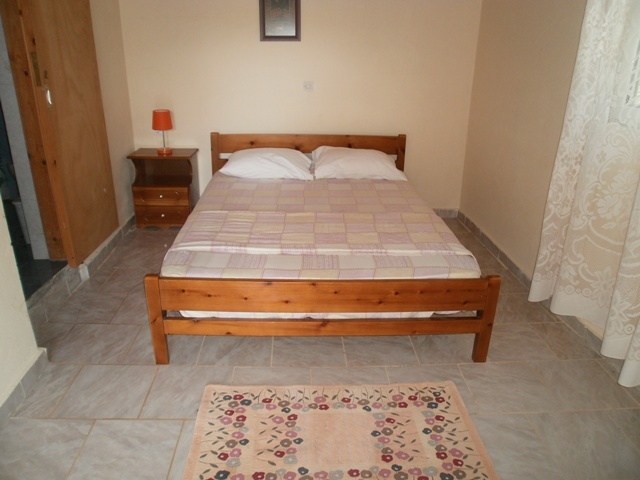 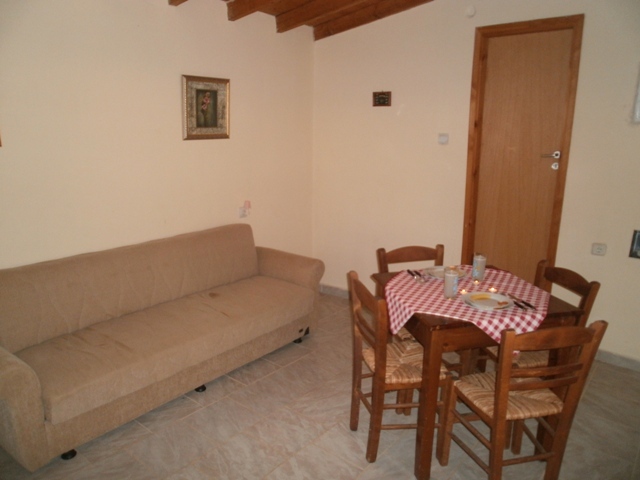 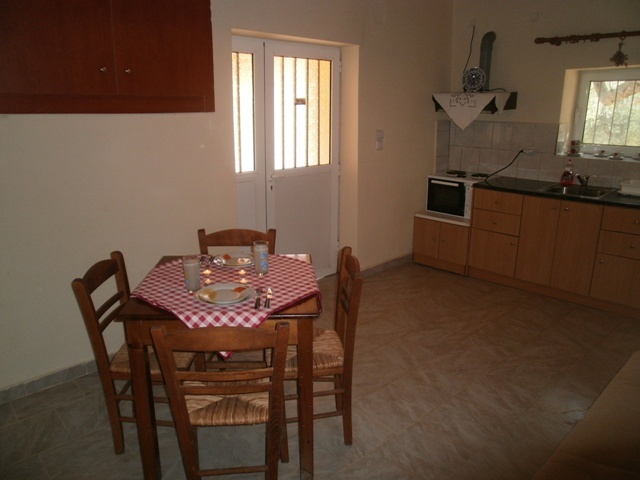 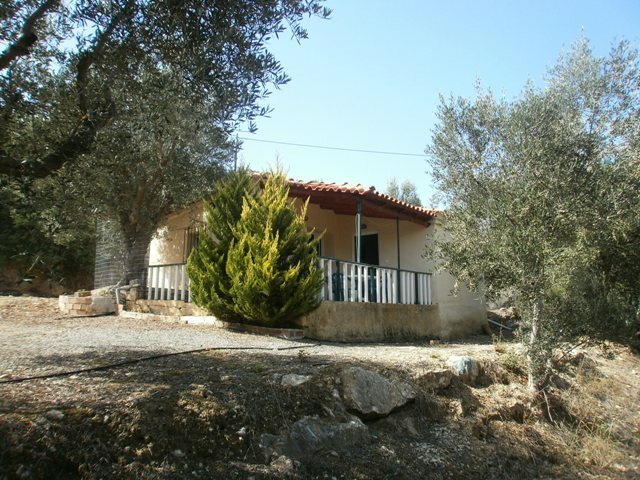 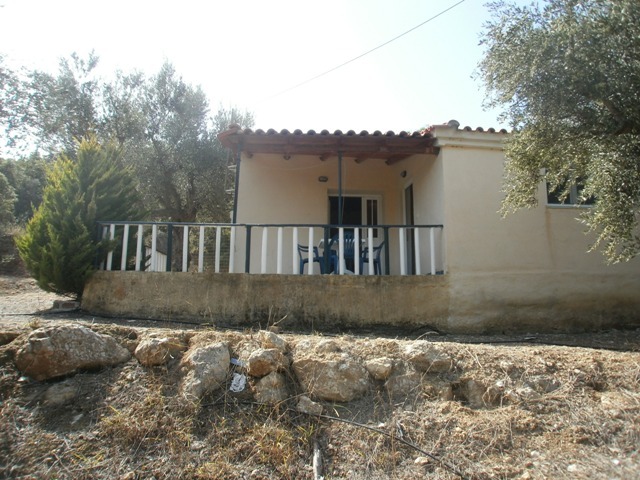 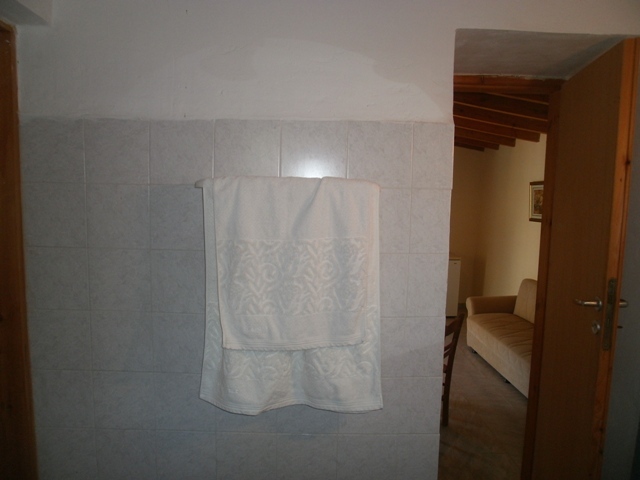 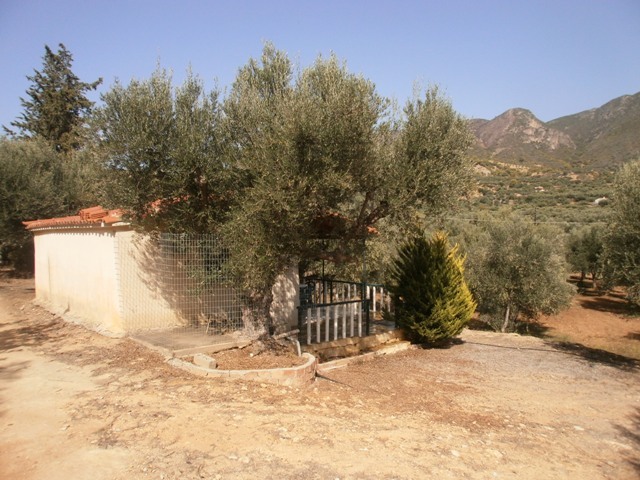 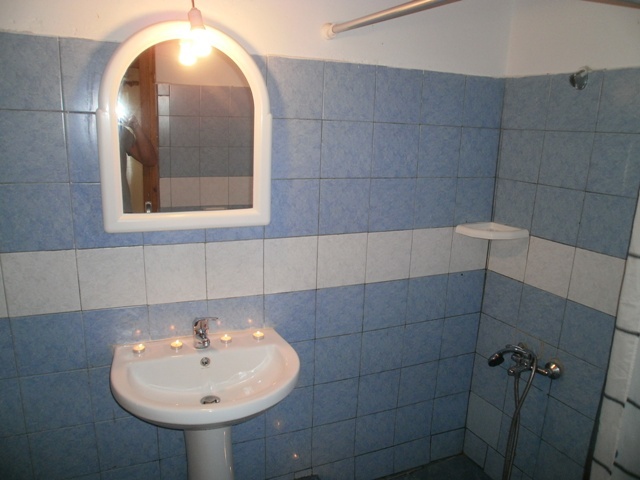 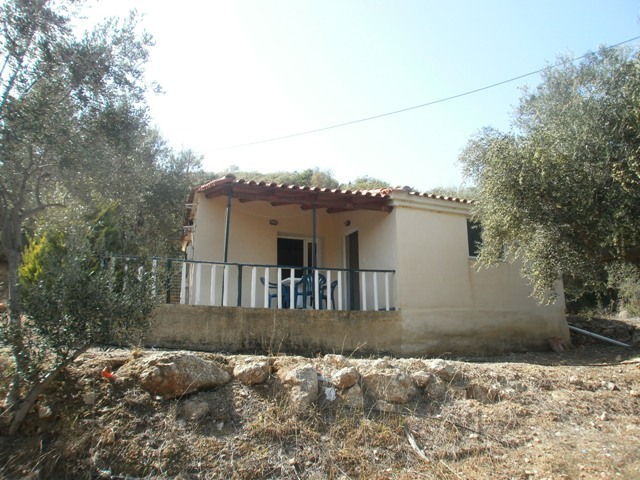 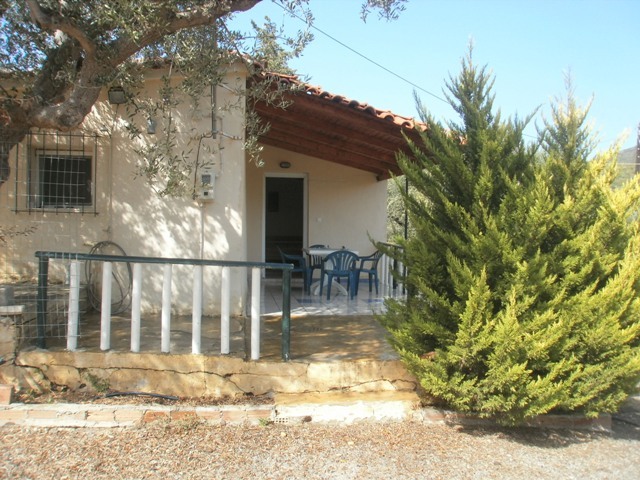 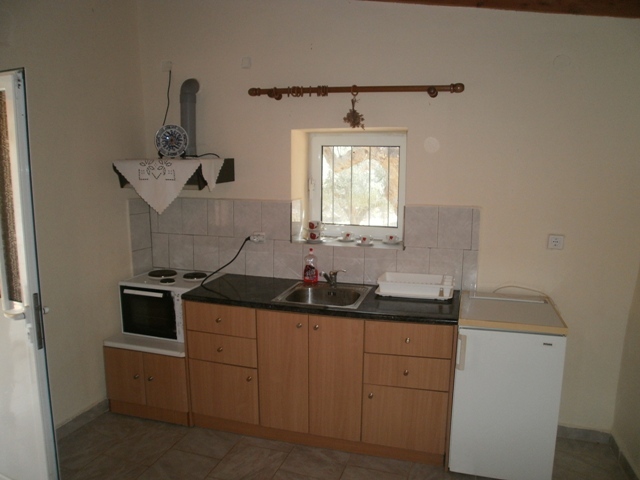 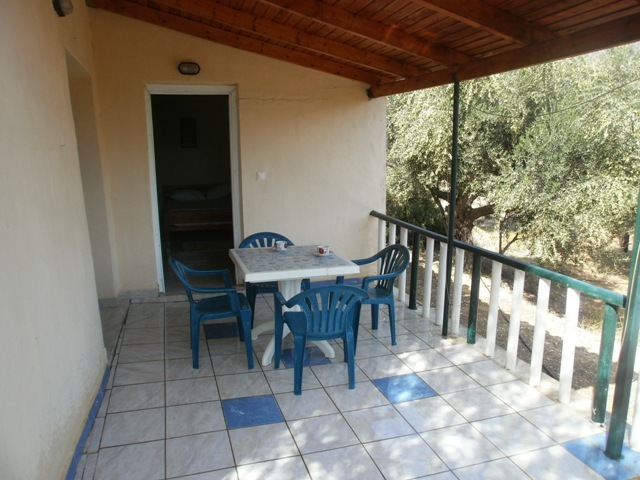 Agioi Anargyroi 2 is 40m2 about and it has one bedroom, kitchen with sitting room together and bathroom. 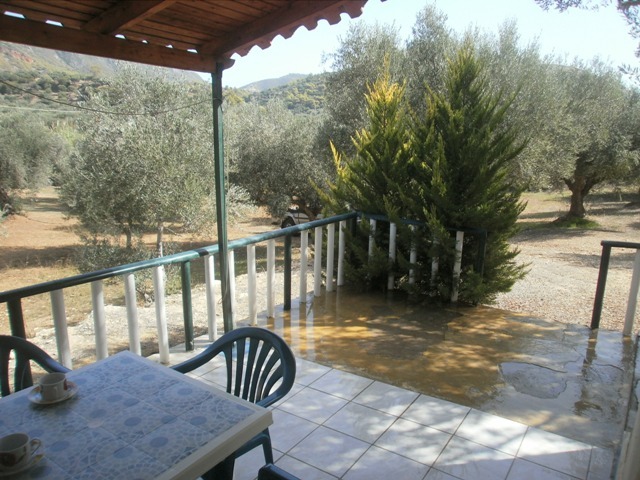 Outside there is about 10m2 covered veranda and 15m2 uncovered. 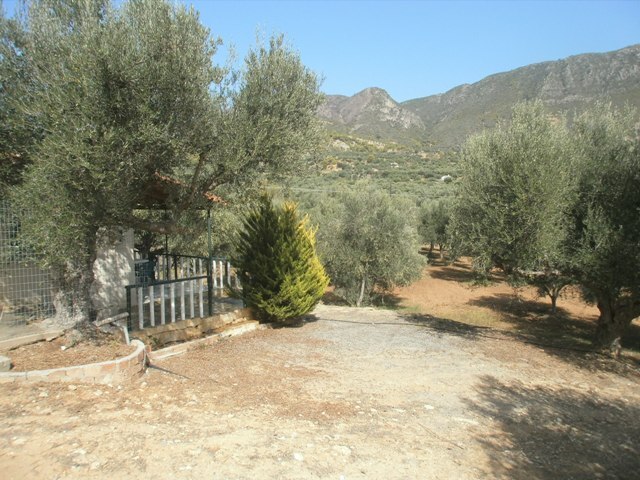 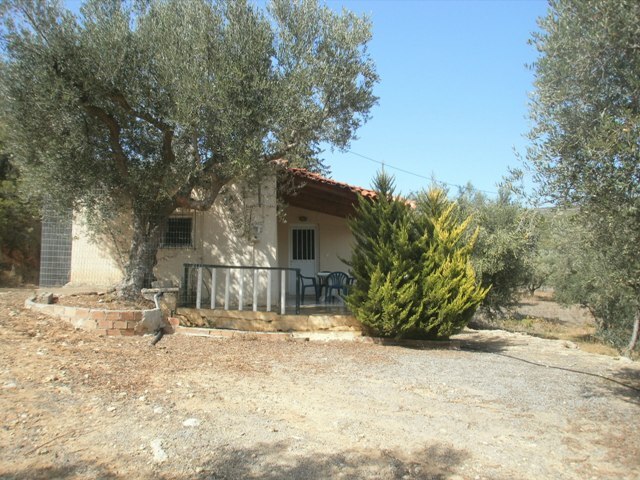 It is situated in Tsapi area in 7.000m2 farm with olive trees, grapes and tomatoes. 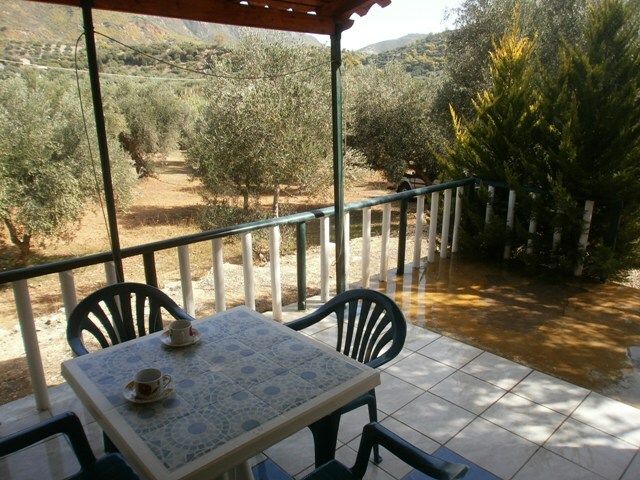 The place is very quiet and peaceful, appropriate for people that they need rest from the work and the stress of the city. 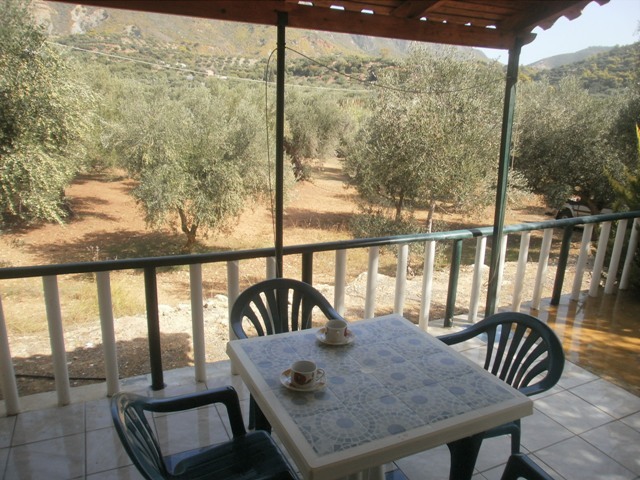 Outside there is a lot of space for car parking or sitting. 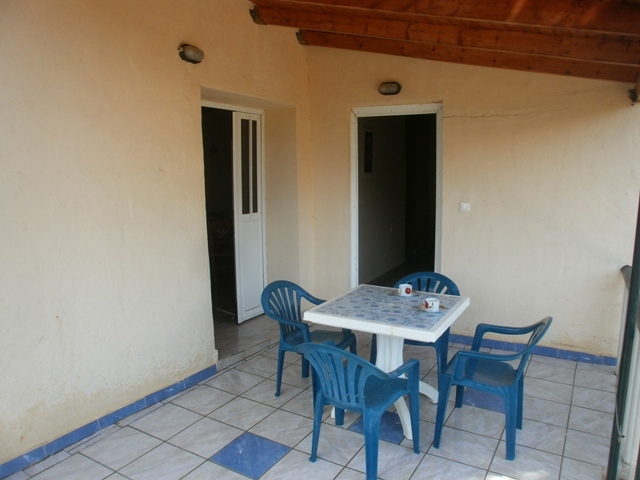 The distance from the beach of Tsapi is about 250m.Next to the beach you can find two tavern for meal or coffee.